In Match 9 of VIVO Indian Premier League 2019 (IPL 2019), Kings XI Punjab would look to take advantage of the home ground as they host Mumbai Indians at the IS Bindra Stadium in Mohali on Saturday. R Ashwin-led Punjab franchise is looking for a revival after losing their last match against Kolkata Knight Riders. Rohit Sharma-led Mumbai Indians are on a high after winning the last-ball nail biter against Royal challengers Bangalore on Thursday and they would look to continue the same form against Punjab. Kings XI Punjab won their opening match of the tournament against Rajasthan Royals, however, R Ashwin was mired in 'Mankading' controversy after Jos Buttler, who was out of the crease at the non-striker's end, was run out by the Punjab captain before he released the ball in the 13th over. In their second match, the Punjab side looked feeble in front of mighty Kolkata Knight Riders at the Eden Gardens as the home side, batting first, put 200-plus target and then comfortably beat Punjab with a decent bowling show. David Miller was the sole batsman who was able to take on KKR bowlers, Mayank Aggarwal too put up a fight but openers KL Rahul and Chris Gayle looked weak. While Kings XI Punjab has a decent bowling attack led by the captain R Ashwin, still, the side looks shaky when pressuure starts to built and tend to lose calm in crucial situations. Mumbai Indians did not have a desirable start as the team lost their opening match of the season against Delhi Capitals by 37 runs, but the team bounced back and won their second match against Royal Challengers Bangalore with captain Rohit Sharma putting 48 runs off 33 balls btu the highlight of the match was Yuvraj's Singh's hat-trick of sixes off Yuzvendra Chahal's three balls and Jasprit Bumrah's point-precision yorkers in the death overs that restricted the dangerous RCB batsman AB de Villiers from scoring runs and ultimately led Mumbai to victory. 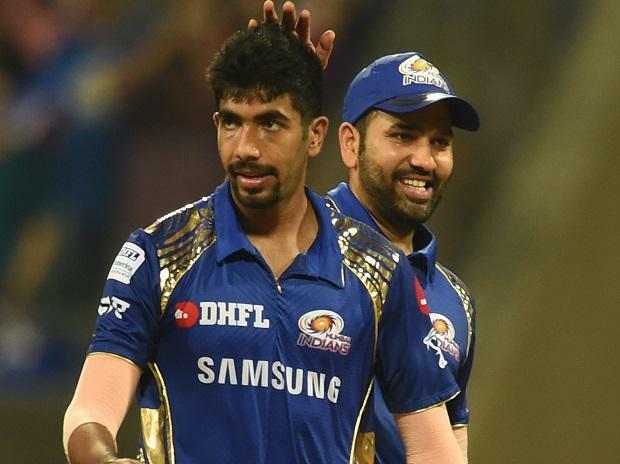 Mumbai Indians' Adam Milne has been ruled out of the IPL due to injury but the player has been replaced by West Indian pacer Alzarri Joseph. KXIP vs MI match live streaming will be available live on Star Sports 1 HD, Star Sports 1 in English Commentary and Star Gold in Hindi Commentary. One can also live stream the KXIP vs MI match on Hotstar app and website.